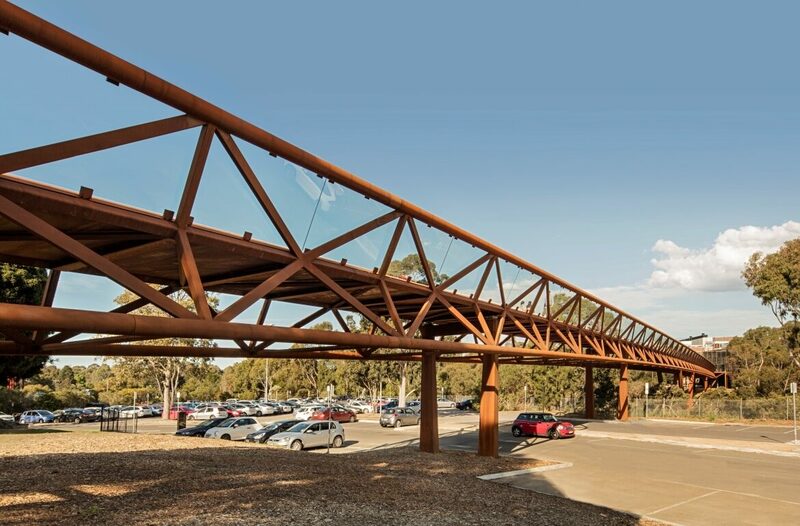 Kane Constructions was appointed in early July 2016 to deliver the Deakin University Burwood Link under a Construct Only contract. 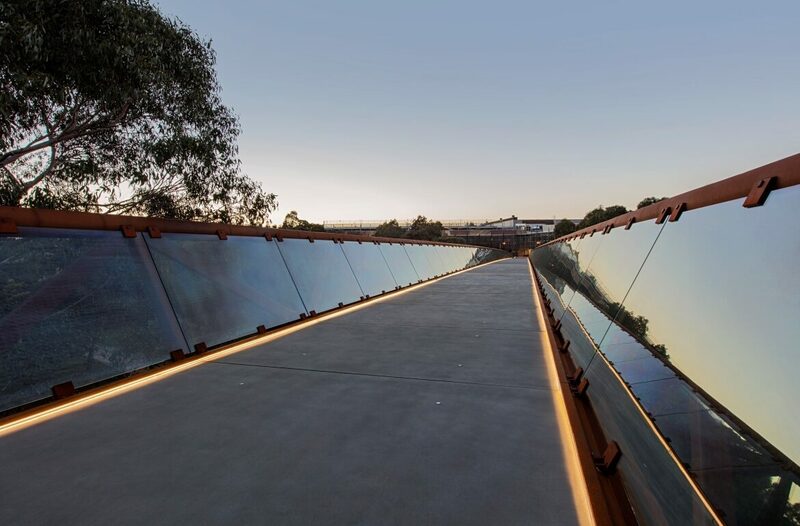 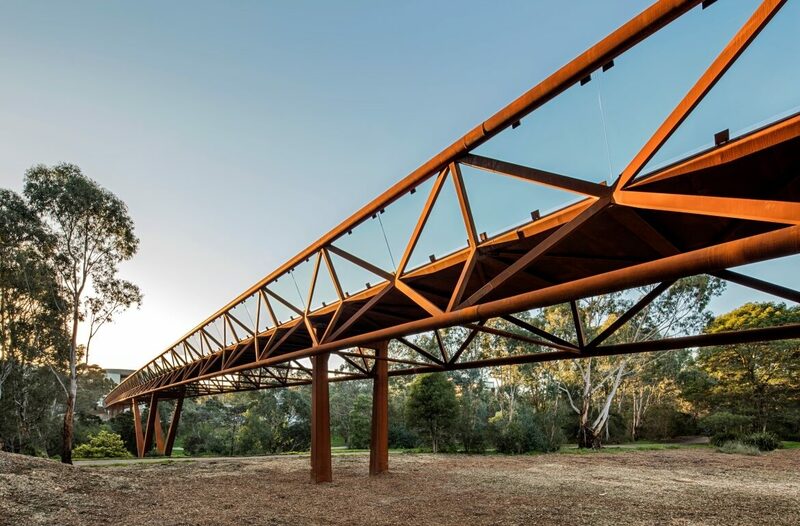 The Burwood Link is a 245m pedestrian crossing over the Gardiners Creek reserve between the Burwood Highway and Elgar Road sides of the Deakin University campus in Burwood, Victoria. 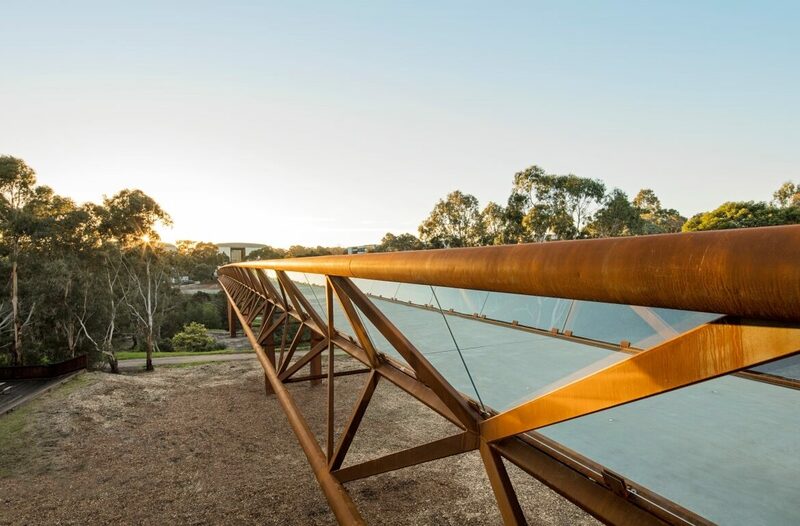 The new bridge has been designed to be a lighter, narrower, less obtrusive and more environmentally friendly crossing with a 'natural rusted steel look' and glazed sides. 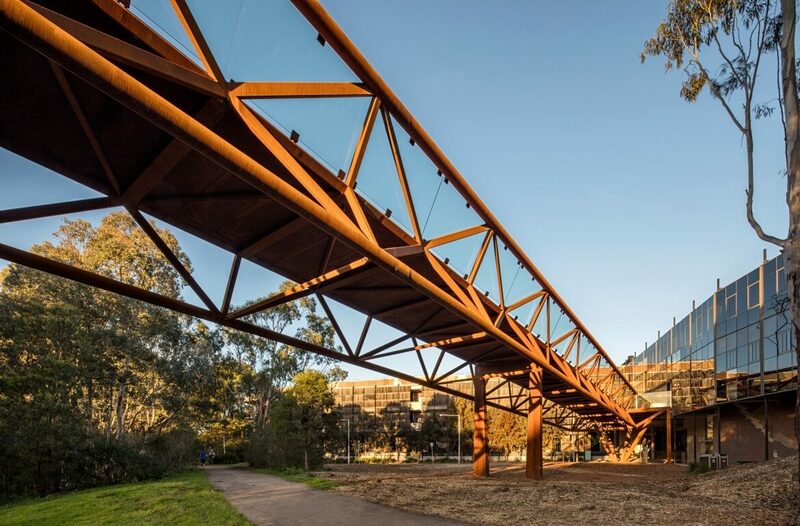 With more than 43,000 pedestrian trips per week across the existing small bridge, including 1,000 pedestrian movements an hour at busy times, the new Burwood Link improves accessibility, safety and convenience to users of the University’s facilities and the reserve in general. 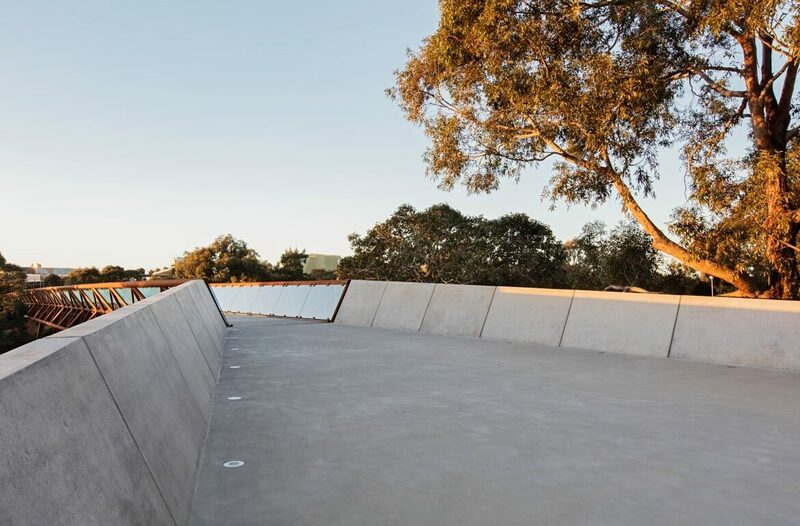 The project was built within a live operational site with limited disruption. 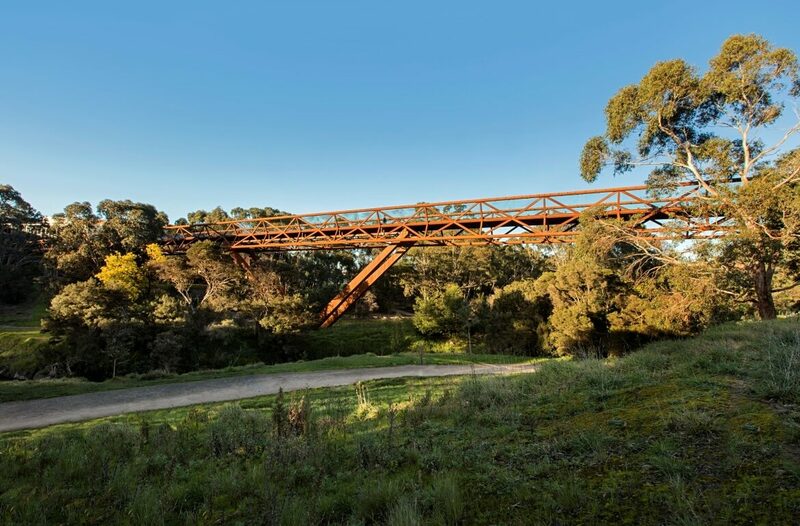 This included the use of a 600 tonne crane to install the bridge with minimal impact to the environment. 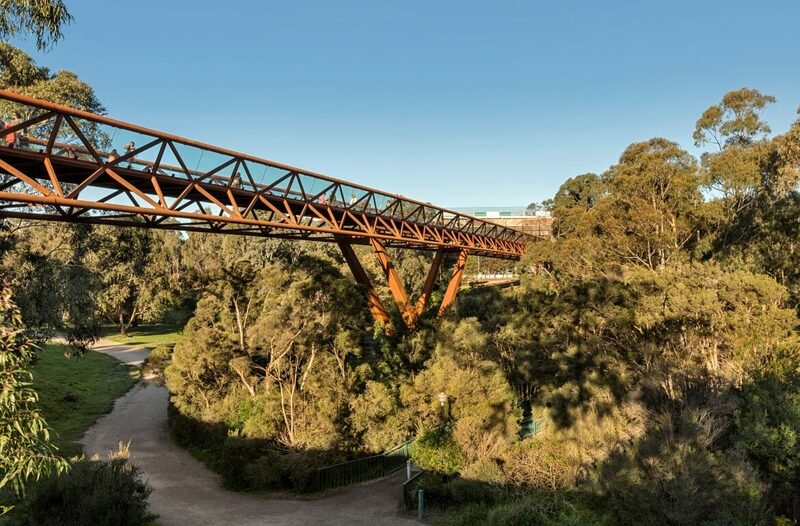 The new bridge removes over 40,000 pedestrian crossings per week from Gardiners Creek, reducing the impact on existing vegetation. 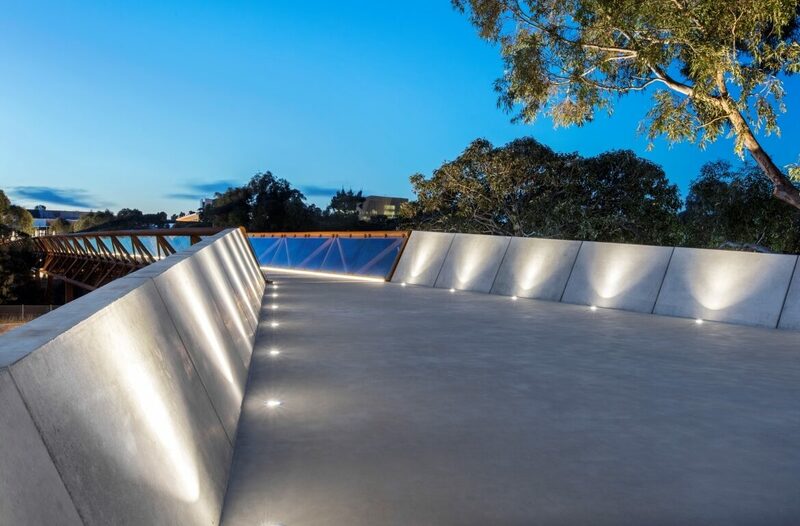 This project reached Practical Completion in the third quarter of 2017.